I am learning and learning and learning everyday new but…. Oh! My God good you have created such a beautiful world that I am yet to discover many more colors that you have use to make the world so beautiful. 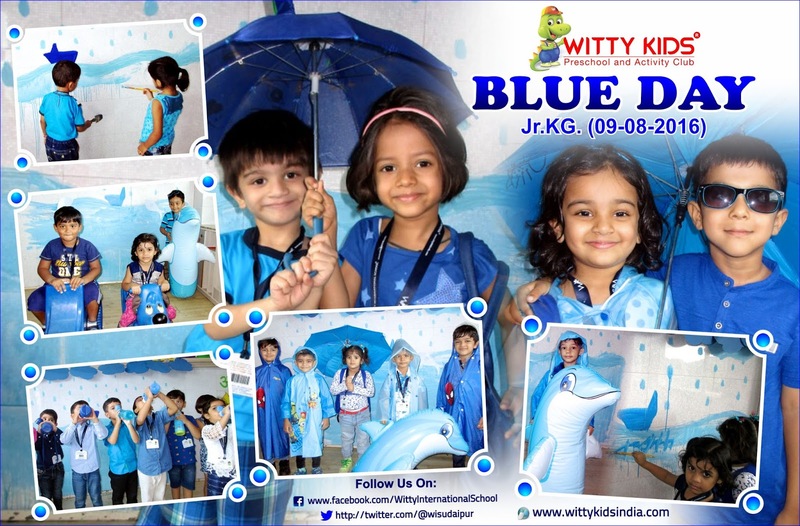 The students of Jr.KG learnt about the majestic color Blue. 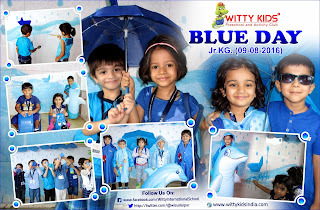 The students and the teachers both came dressed in Blue attire.The class was decorated in the color Blue. Students enjoyed making beach scene they were shown a PPT and they also observed blue objects. Students enjoyed learning the color.